Craft and design. They were made in Western Germany C'1960 and have unlimited applications in. They have flat tables with bevelled and faceted borders. Their backs are pointed faceted and gold foiled which reflects the light back thru the stone giving them extra sparkle. They were made in Czech Republic. Rhinestone Round Shamballa beads. Each bead has 108pcs A grade pp13 Rhinestones. Size : 12mm. Colour: Topaz. Quantity: 10 Beads. Rhinestone Round Shamballa beads. 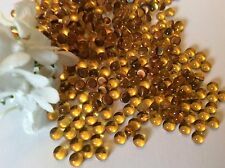 Each bead has 108pcs A grade pp13 Rhinestones. Size : 12mm. Colour: Light Topaz. Quantity: 10 Beads. They are a Topaz and blue combo and have a Titania coating which is the equivalent of Swarovski AB. Their price reflects this. They are still very beautiful and useable and have unlimited applications in craft and design. 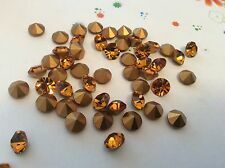 8 Smoke Topaz rhinestones in a 1 loop brass setting. Ø SS16 ( 3,8 -4mm). "Hotfix - rhinestones. HOTFIX RHINESTONES. Topaz (yellow). CA 500 PCs. Stückzahl 500. Farbe Beige. within Germany sent. Ø SS16 ( 3,8 -4mm). "Hotfix - rhinestones. HOTFIX RHINESTONES. Topaz (yellow). CA 200 piece. Stückzahl 200. & To process a Hotfixaplikator! Ideal for ironing. DeCoRé Rhinestones Topaz, approx. 2,4mm, 50 ST. The rhinestones from the series DeCoRé is available in beautiful colors to the insert in the model glue. The colours are matched to the color palette of the model glue. Ø SS16 ( 3,8 -4mm). "Hotfix - rhinestones. HOTFIX RHINESTONES. CA 7200 PCs ~ 50 large. Topaz (yellow). Stückzahl 7200. Farbe Beige. within Germany sent. Ø SS20 ( 4,8 -5mm). "Hotfix - rhinestones. HOTFIX RHINESTONES. CA 7200 PCs ~ 50 large. Topaz ~ Yellow. Stückzahl 7200. within Germany sent. & To process a Hotfixaplikator! The rhinestones from the series DeCoRé is available in beautiful colors to the insert in the model glue. The colours are matched to the color palette of the model glue. So you create harmonious combinations. 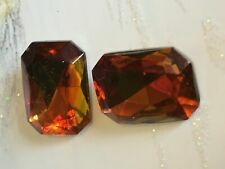 DeCoRé Rhinestones Topaz, approx. 3,2mm, 45 Piece. The rhinestones from the series DeCoRé is available in beautiful colors to the insert in the model glue. The colours are matched to the color palette of the model glue. 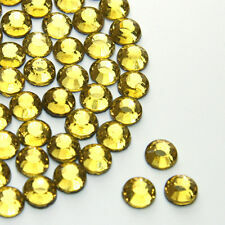 DeCoRé Rhinestones Topaz, approx. 28 mm, 7mm, 60 Piece. The rhinestones from the series DeCoRé is available in beautiful colors to the insert in the model glue. The colours are matched to the color palette of the model glue.